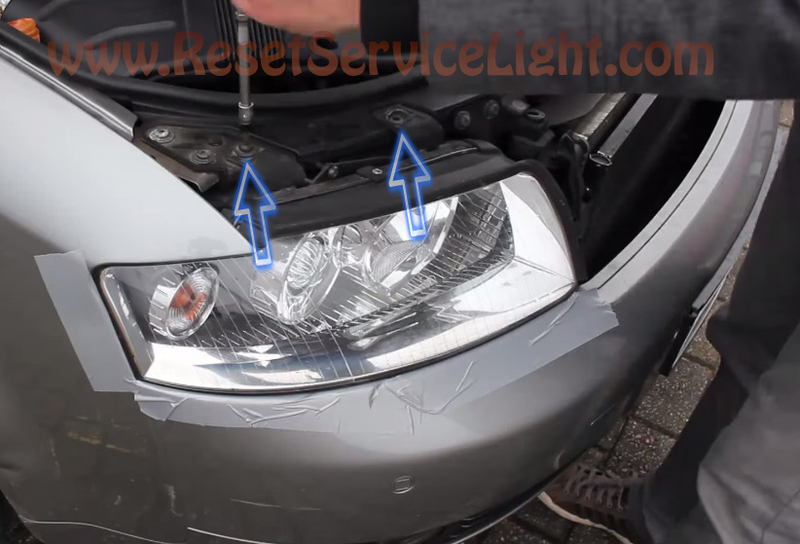 How to change the burned headlight bulb on a Audi A4 B6 manufactured in 2000, 2001, 2002, 2003, 2004, 2005. Do you want to replace the bulb follow this steps and you will succeed. 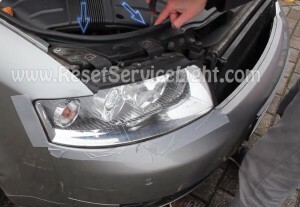 To do that you need to remove the headlamp. For that you must unscrew four screws, two of them are located outside and two inside. See below picture. Now you just have to pull the headlight out. Now all you have to do is to remove the protection behind bulbs and take off the plug from the bulb. 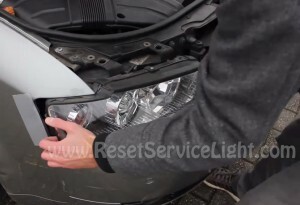 Install the the new bulb and befor you put the headlight back on your car I suggest you take turn on the light to see the bulb is ok. If everything is alright put the protection back on the headlight and then screw it back on the car.